I’d never really paid much attention to mead. I had heard of it certainly, but had never tried it. Not because I didn’t want to, I just well…didn’t pay it much attention. But then fermentation stepped into my life. Sourdough certainly. Sauerkraut became a staple. Pickles started appearing and then I got a box of plums. See it was the box of plums that pushed me to the mead. I needed to process the whole box, but space (as always) was an issue. I couldn’t store that amount of jars of jam or chilli sauce, nor could I freeze a huge amount either. I went looking, flicked through the trusty bible, figuring there must be some other way of fermenting with plums I hadn’t thought of. So that’s how mead stepped in. I read, planned and hesitantly started. Within 24 hours there was fermentation action happening and that was just a little bit exciting. There are just three ingredients in there- honey, water and plums. That’s it, and then the bottle started bubbling like an excitable volcano. The excitement was contagious. I continually checked and stirred it. I thought it would take about a week for bubbles to ease off but it only took 5 days (Sydney, Australia summer time). Strained and bottled, the taste test. It was good. I thought. I say I thought, because at this stage, I still had no idea what mead tasted like, so had nothing to gauge it by. It’s hard to tell whether there is much alcohol content. The test would be to down the bottle on an empty stomach and see what happens, but that didn’t seem likely to happen. Ten days into the fermentation, (second fermentation period) the mead developed a thin mould layer. It had a closed lid, so I wasn’t quite sure what to do. I did what any hack city hippy would do, and shook it in, ignored it and popped it in the fridge. But not before I had a good smell of it. I have finally gotten to trust my nose. With all my fermenting experiments I always smell them along the way. Observing differences, subtle changes and really trying to identify when and where things start to change. I trust my nose and if I’m not sure, well I don’t use it- The Plum Mead smelt fine, and while several weeks later into the fermentation process the taste was fairly underwhelming, I am keen to try it again. Next, I started on a Honey Mead, (or honey wine). Raw honey and unchlorinated water, that’s it. Now according to Sandor Katz, (who I was lucky enough to hear speak recently) raw honey already contains abundant yeasts- with pasteurisation or cooking killing them off. And so I did. I woke those little things up with a ratio of 1:4, following the instructions, and intermittently smelling it. At the end of three weeks I have a lovely light (green) sweet tasting mead. I can’t liken it to anything else I’ve ever had, but it’s good and I think this could be the beginning of many more meads to come. So what do my two experiments with mead making have to do with Vikings? Well according to Norse mythology, mead seems to be heavily linked with the Norse god Odin and along with it, anyone that drinks mead may become a poet or scholar. I’m still waiting for poetic inspiration, but perhaps I simply haven’t made or drunk enough of the honey gold beverage? This entry was posted in Connecting with Community, Food Glorious Food and tagged commercial yeast free, fermentation, honey, mead, Odin, plum mead, sandor katz, sandor kraut, the art of fermentation, vikings, wild fermentation by cityhippyfarmgirl. Bookmark the permalink. Hmmmm… I never really thought too much about wine making, nor ever heard of honey wine until I read this. Very interesting!!! Aah Mead. I’ve on;y tried it once, but I was 19 and it was given to me by a gorgeous Scot that I had the hots for. Oh the memories! how cool to make your own bubbly and to know exactly what’s in it..cheers! I want to try the spiced ones but need to try and get hold of some organic spices- not sure if it would inhibit the fermentation if not organic?? I thought mead was only for honey, I didn’t realise you could make a plum version as well! Fascinating stuff, Brydie! plum, honey and water Celia- I think there is always honey in mead, it’s just what you accompany it with…oodles of possibilities! I love mead – it is not something I have very often but have bought the occasional bottle and it is just my sort of tipple. Have never heard of it with plums but fruit always adds great flavour – sorry to hear this was the less successful but very interested to hear about the raw honey working so well. Works a treat! And yes, I’m still to buy a commercial one…must search harder. I have been making fruit wine recently and have utilised free mulberries from a local park. At first I thought it didn’t taste too good but after leaving it a while I now have a sparkling red wine with the slightest mulberry at the end, it is actually very nice! My strawberry wine is also very good but at 22% alcohol content I am being very cafeful with it 🙂 Try a book called True Brews which I picked up from Wheel and Barrow, I am having a ball of a time with it, make sure you convert the measurements properly though as it is from the US. Oh Liz, that’s exciting! Tell me, how do you tell that your strawberry wines alcohol content is at 22%? I would love to find out what the mead is at, I know it wouldn’t be much as it’s still pretty green, but it would be interesting to know. I’ve had a look at True Brews before- someone else from the US had recommended it- looks good! Really? Well obviously really because you did it. OK, I am going to be a cautious reader and watch you at this for a bit then maybe I’ll stick my toe in. I think my dear old Mum (87) might like this. I love it when you get adventurous Brydie. 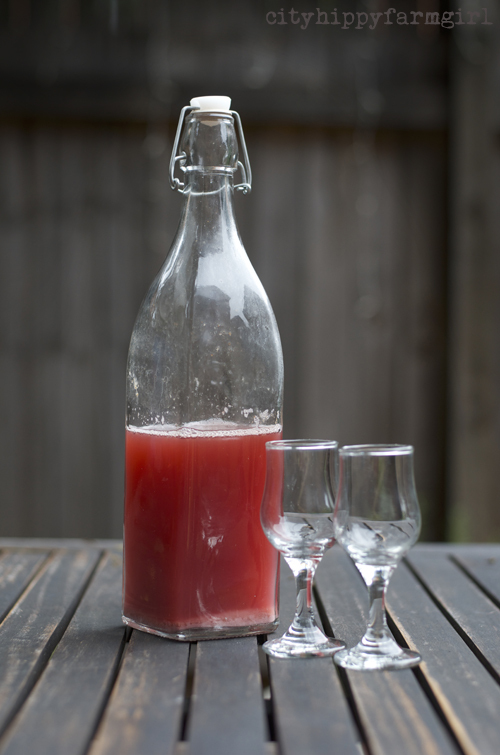 We have been wanting to try making mead so was interested to read this and thanks for the links 🙂 Plum mead might just be our next boozy experiment 🙂 How long do you leave both to sit? You can drink them green (young, 2-3 weeks) or store them for years. While I’m still in the very early stages of playing, I’m just sticking with the few weeks…plus I’m too impatient! G’day! I absolutely LOVE mead and enjoy learning heaps about the history in almost every castle I visited in Ireland! Ahhh, historically mead has many, many rich stories to tell. A while back- my sister and I had a Midsummer feast ( with costumes and performances- it was great fun!) and we had bread trenchers for plates and roasted chickens with a wonderful fruit sauce- but she wanted mead. I contacted some friends who were into fermentations and wines and beers and they had some mead but wouldn’t sell it- we had to barter. I traded 2 loaves of bread and 5 dozen chocolate chip cookies for two largish bottles of mead- and it was perfect with our meal. Thanks for bringing up some wonderful memories, Brydie! Plum mead sounds divine! Rob just bought me his latest book so I can get busy(ier) in the kitchen. Excellent you were able to see Katz, that would of be amazing! I first tasted mead just after we were married. The lady serving us at the meadery asked if we were on our honeymoon, and when I asked how she had guessed she said “you are young, and in love.” She then explained that the term had grown from times when a wedding was celebrated for a month (or moon) during which much mead was drunk. We warmed ours up in a little pot on the bbq of our honeymoon villa and that is how I always drink it now. We love to tuck a bottle of metheglin (spiced mead) into our camping supplies when we head bush and drink it under the stars. But making your own, that takes it into another realm entirely! Alison, what a beautiful association with mead. Love it!….You know you could store a little barrel perhaps in your cellar. Do let me know if you do. I’d love to know how other people get on with it. Due to a very recent extraction I have honey…lots of honey. And I have water too. Do I dare? Oh yes you do Barb!! There wouldn’t be much alcohol content as it’s still only a few weeks old at this stage but if I was less impatient and actually stored long term, the alcohol content would only increase. Pretty amazing with two ingredients huh. 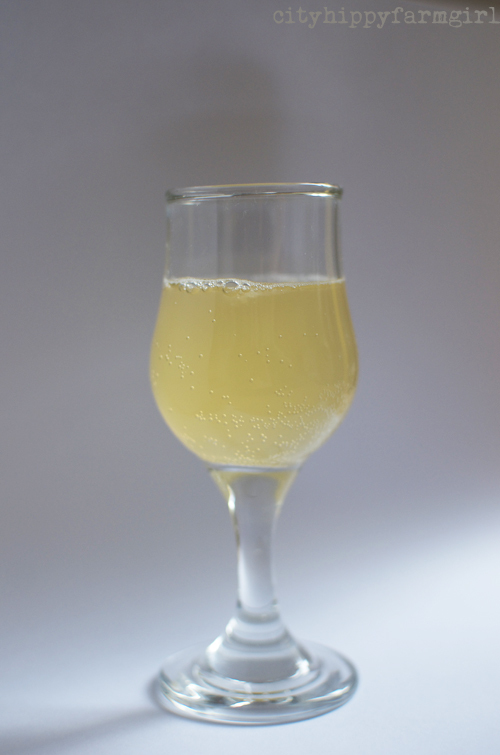 I’ve never tried mead – they both look great Brydie! As Celia said – fascinating stuff. It is isn’t it Sally! I’ve been wanting to make honey mead for ages! Now to get in-pregnant so that i can get some bees into our hive! By the Gods, I envy you. Over here in Israel spontaneous fermentation rarely occurs, and whenever I prepare mead I must add some fresh yeast, otherwise it would NEVER start fermenting. Great blog!